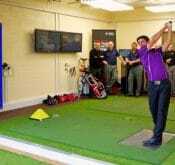 A new high-tech golf swing studio was openened at Leeds Golf Centre and includes an European first – the FlightScope TruSim golf simulator. A new FlightScope X2 golf launch monitor arrived at Noah’s ark golf centre. 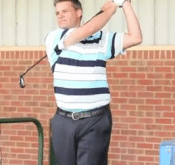 It is being used as a club fitting and coaching tool. He compares a Yonex Ezone Composite iron to a TaylorMade Burner 2.0 iron by using the FlightScope X2 golf launch monitor. The Science of Golf Instruction and Club Fitting convention will be held at the prestigious Laurel Links Country Club in Long Island, New York on Oct 12 & 13. Greg Havret, the latest in a string of tour players to do the same, purchased a FlightScope X2 golf launch monitor. Follow this link for some images of him putting the X2 through its paces.